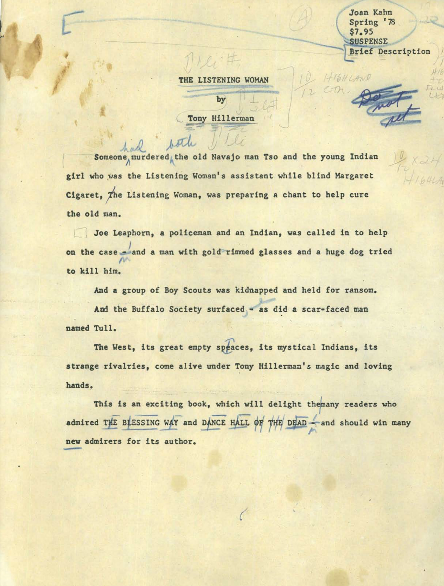 Listening Woman, Edited Manuscript, p. 1-228 (undated). This is the most mature draft of Listening Woman in the Center for Southwest Research Collections. It bears significant editing marks.